The more you get understanding of dog, the more you develop a good relationship with your dog and enrich the life of both you and your dog. To avoid/solve dog’s behavior problem and to teach something to dog effectively, it is very important to understand not only learning theory but also dog’s body language. We can gather how dog feels from dog’s body language. “Calming Signals” is well known around the world. 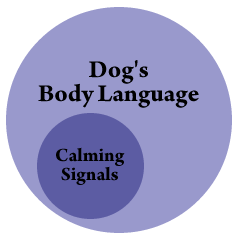 When dog uses some calming signal, dog might try to calm down himself/herself or people/dogs around him/her. So when we find out calming signal, we can gather that the dog might go through some stress for the situation or something. Turid Ruguss who is a Norwegian dog trainer and author of the book “On Talking Terms With Dogs: Calming Signals” says that also we can use Calming Signals to help dog calm down. Calming Signals is essential knowledge for all dog guardian. However, dog’s body language signals are not the only Calming Signals. Dog’s feeling appears as various body language signals. So we can know the state/transformation of dog’s feeling and stress level from those. Also not to make your dog be a victim or perpetrator, it is very important that you understand dog’s body language signals, and find out dog’s anxiety and stress level and deal with that as quickly as possible. Where/How does dog’s feeling appear on the body? Here are a few examples of “Tail Position”. 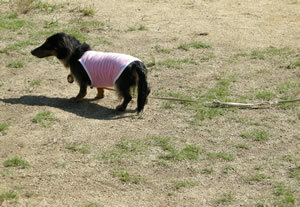 [sample photo] She’s going for her favorite treats after she did “retrieve” that is pretty tough job for blind dog. 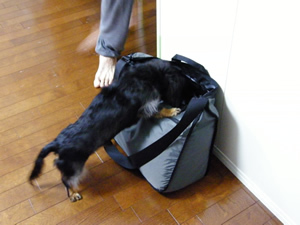 [sample photo] She’s checking my husband’s bag. 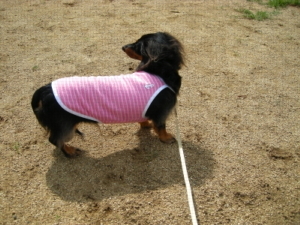 [sample photo] She’s checking on what’s happening in a dog park. This is situation after taken T-4 photo. [sample photo] She just goes into a dog park. Some dogs and people are around her. Tail Position Classification by Ken McCort (Four Paws Training) who is one of dog specialists that I respect. 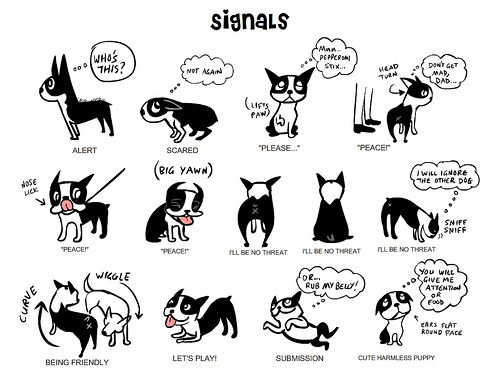 These are only small part of dog’s body language signals. There are so many kinds, and those are tiny and changing from moment to moment. As is often the case, each part of dog’s body indicates different feeling. So you might have trouble understanding dog’s body language, evaluating dog’s feeling and deal with that rightly by learning only from books or websites. 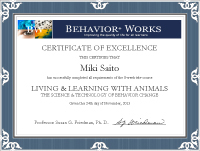 I recommend to attend seminar/workshop about dog’s body language, or training class by REAL positive reinforcement training trainer/instructor. 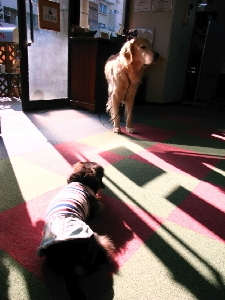 It’s really good idea to hear specialistic commentaries on dog’s body language changing from moment to moment. It will help you develop the power of observation and comprehension of dog’s body language and know about appropriate handling and care. So you can get on your dog and keep your dog’s physical and mental safe better than now. How to communicate with a dog in their own language- dog training dog communication (YouTube video) by Emily Larlham – Emily who is a positive reinforcement trainer in San Diego and a great dog training video producer illustrates Calming Signals with examples. – Those videos have many example photos of dog’s body language signals with commentary on dog’s feeling. Stress Signals (PDF) by Dream Dog Productions – This PDF is easy to understand 6 dog’s stress signals with clear photos. If you understand communication style of dog, you will become a best friend of dogs all over the world because dog’s body language is the universal language.